The unofficial sequel to Puppy Love (S.C.) game is now available on the App Store. Check out the games webpage here. Puppy Love has been published for the PC! It is in a compilation CD with other IGF games. You can buy it off Amazon's site for just $20. To find it just click on this link. One more note about the published version. High scores are still kept on the website so you will need an internet connection to save your high scores. 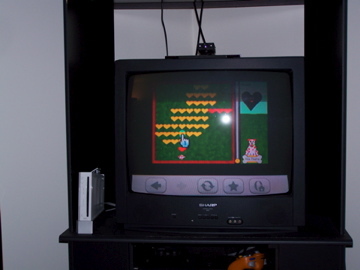 Puppy Love is playable on the Nintendo Wii using the web browser! The final build of Puppy Love is still available! I hope you all have fun with it. How much would you pay on the iTunes App Store for an unofficial sequel to Puppy Love?